Ladies, do you know that those beautiful must have Gucci, Alexander Wang, Christian Louboutin and Jimmy Choo heels you just so love have been dated back to the early 1500′s when they were footwear mainly used by male butchers to keep their feet away from blood on the ground? However, just like the saying goes, “what a man can do, a woman can do better“, where men saw work shoes, women saw a fashion statement. Wearing high heels can undoubtedly boost your confidence and poise, (if you can walk well in them), make your legs look longer (for petite ladies), accentuate your curves at the right place by changing your posture, bringing your chest forward and pushing your waistline back, yet despite the fact that this fashion piece has changed the lives of women around the world, it brings along its own strings of “palava“. A study has shown that making poor decisions about footwear today can result in a high risk of foot problems in the future. 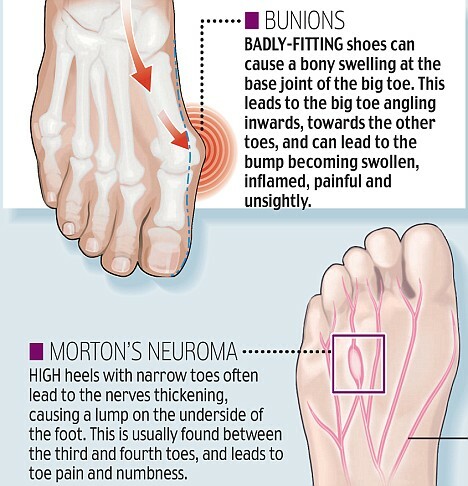 Researchers and doctors alike have concluded that high heeled shoes and sandals, are just some of the reasons why women are much more likely than men to have foot problems when they get older. 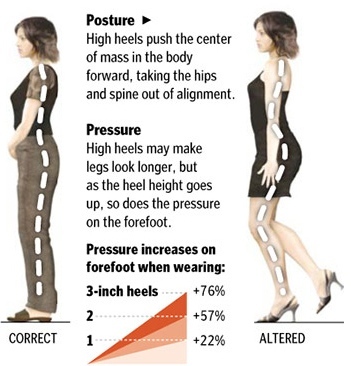 The damages that high heels can cause to your bone structure are drastic, without the right position while walking in heels you don’t just look weird, it also damages your spine and knees…still, many ladies refuse to give up their high heels. So here are a few tips that you can put in practice so you can care for your body and still look fabulous. 1. Unless you are absolutely sure you can pull the walk without any mishap, look for shoes with thicker soles, e.g. wedge or block heels. This helps absorb the impact of steps, thus increasing the time you can walk without feeling pain. 2. If you are going to be walking, standing or traveling for a long time, bring a comfortable pair of flat/slipper with you. Beauty doesnt have to hurt. 3. The advantages of accentuating your body only come when you can actually walk in your heels properly without wobbling, limping or falling flat on our face in public. So take short strides and practice walking in them first. 4. If you just got a new pair of shoes, “Test-drive” it before the big day. So you know exactly what to expect. 5. Sometimes the sole of some high heels can be a bit slippery because there are no ridges, e.g. When walking on smooth tiles, you may feel like you are going to slip and fall. To prevent this, you can ask a cobbler to ‘roughen” up the sole for you or you can do it yourself with sandpaper. 6. 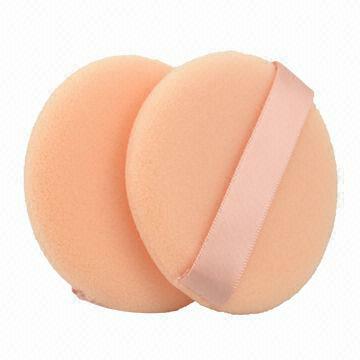 For the excrutiating pain at your sole, use a shoe cushion, apparently things like this are hard to find in Naija, so here’s a DIY cushion, put in your old powder puff at the point where you feel the pressure. Now, Save your Sole and Be Heeled!